Mattifying make-up primer minimising visibility of pores perfectly evens surface of the skin, preparing it for application of a foundation. Mattifying formula ensures long-lasting protection against shine, while light consistency spreads easily. 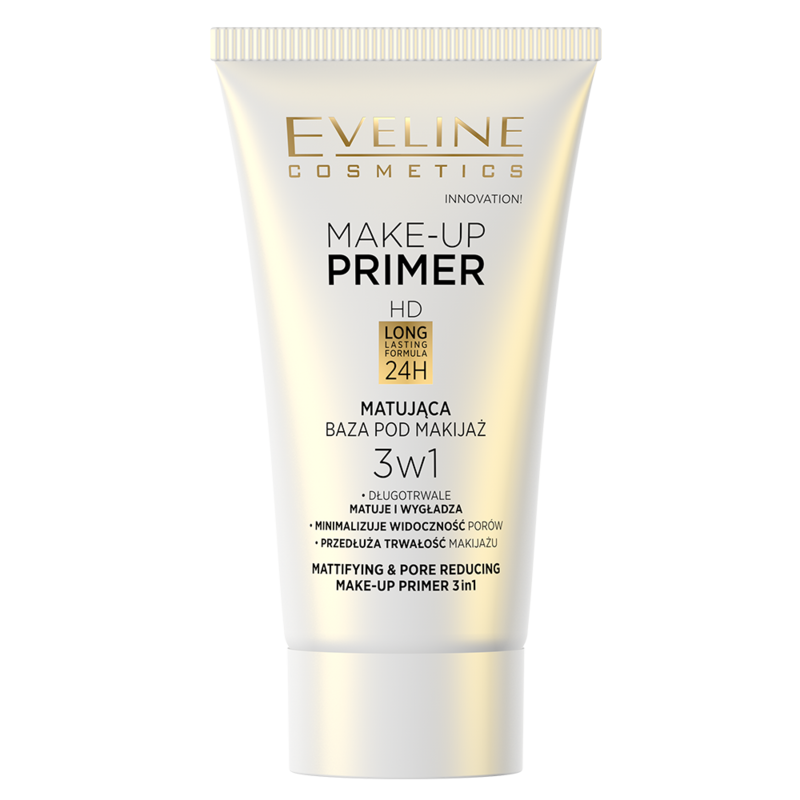 The primer extends durability of make-up, while the formula enriched with powder particles ideally evens skin tone and reduces redness, making complexion look silky smooth and full of natural radiance. The cosmetic may be applied under a foundation or independently. Spread a thin coat of the primer onto the cleansed face. Wait for a moment. Continue make-up as usual.